Feeling delicious? 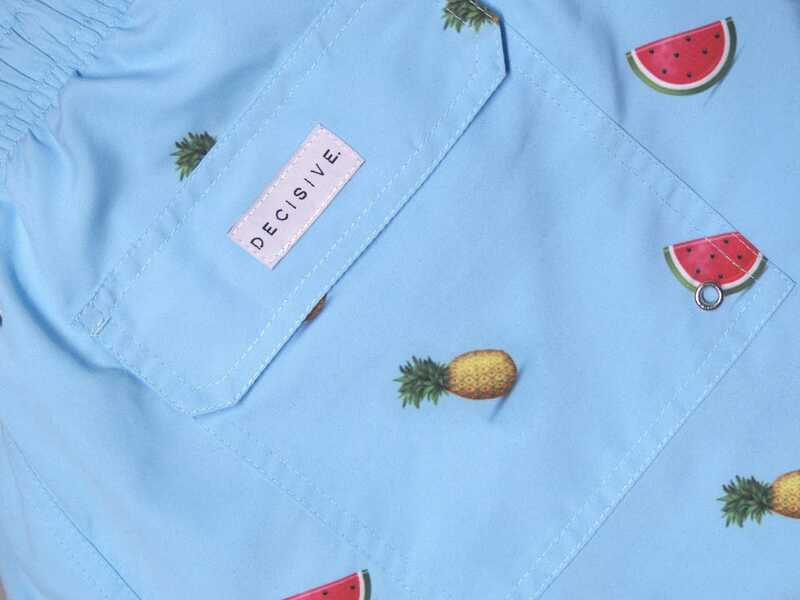 Decisive Beachwear’s Pineapple Watermelon Swim Shorts are here to make you look as confident as you feel with our men’s designer swim shorts with a delicious tropical twist. Forget the icing on the cake, our Pineapple Watermelon Swim Shorts are the cherry on the pina colada, and they’re here to stay. We’ve truly synergised style and comfort this time! Wherever you might be off to for some fun in the sun, you’ve earned the right to do it stylishly. From the sparkling Pacific ocean for a family holiday to a Gold coast getaway, we at Decisive Beachwear have all you need. We’re set on mixing contemporary, handsome style with uncompromised comfort in all our beachwear. Our men’s designer swim shorts are created with comfort and fashion in mind, and a delicious PineappleWatermelon print to kickstart your vacation! Printed on a classic blue background inspired by the endless ocean, you’ll feel like you’re on holiday before you even set off. Decisive Beachwear is all about what life has to offer. From lazy summer beach days surrounded by palm trees and a gentle breeze to the soft swish of warm waves lapping against the shore. We aim to inspire you to join the Decisive lifestyle through our men’s designer swim shorts. By taking these beautiful memories and transforming them into something you can wear, anytime and anywhere. We try to convey this message in all our beachwear, by making it comfortable for all-day wear. We’ve been there, walking the sandy shores, which is how we know that beachwear should always be comfortable before anything else. 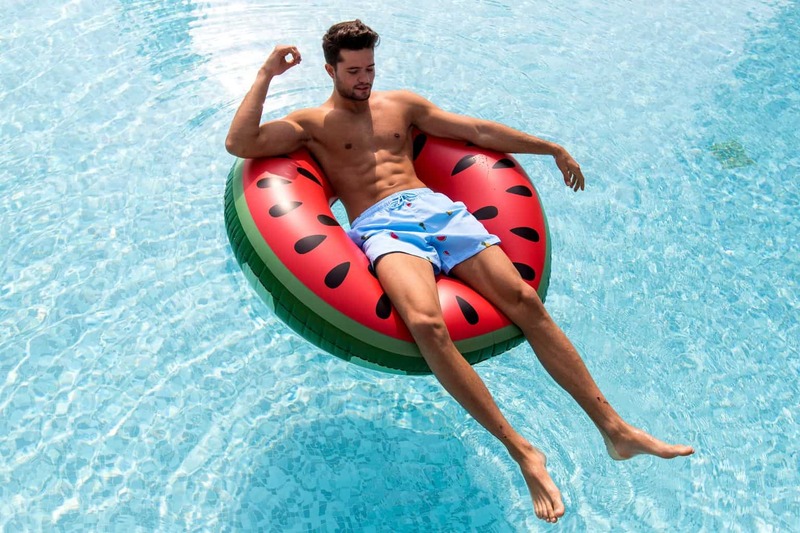 We also think that a beach vacationis that much more enjoyable when you don’t have to change every time you hit the pool or surf, and it’s why our Decisive Beachwear Men’s Designer swim shorts are tailored especially for wearing all day long. We use specially designed quick-dry tech in every pair of our men’s swim shorts, meaning they’re perfect for a short stop at the beach cafe for a refreshing ice cream! We’ve completely removed the need for you to sit uncomfortably in damp shorts while you’re having something to eat or a cold one! Going out for dinner, getting from one beach to the next, and heading out after dark all turns hassle-free when you’ve done away with all those trips to the changing room. We’re talking straightforward convenience from gorgeous sunrise to tranquil sunset! Our Pineapple Watermelon swim shorts have two handy side pockets for you to stash all your belongings. Your smartphone is always within hands reach, so you’ll easily be free to capture your holiday snaps and share your memories with loved ones. For basics that need to be safely stowed, we’ve designed all our shorts with a back pocket with a secure Velcro flap that keeps all your things together and quick to access. Whether you’re playing rough and tumble in the sand, hopping from rock to rock, or smashing it on the beach volleyball court, you’ll never need to stress about your valuables falling out. Your mid-length Pineapple Watermelon shorts are designed for a casual, yet smart summer look that’s timeless. We’ve even built in another secret credit card pocket in the super-soft internal lining, all hidden from prying eyes. It’s perfect if you’re hoping to grab a cool smoothie or a cheeky ice cream—because nobody wants to carry a wallet around the beach. 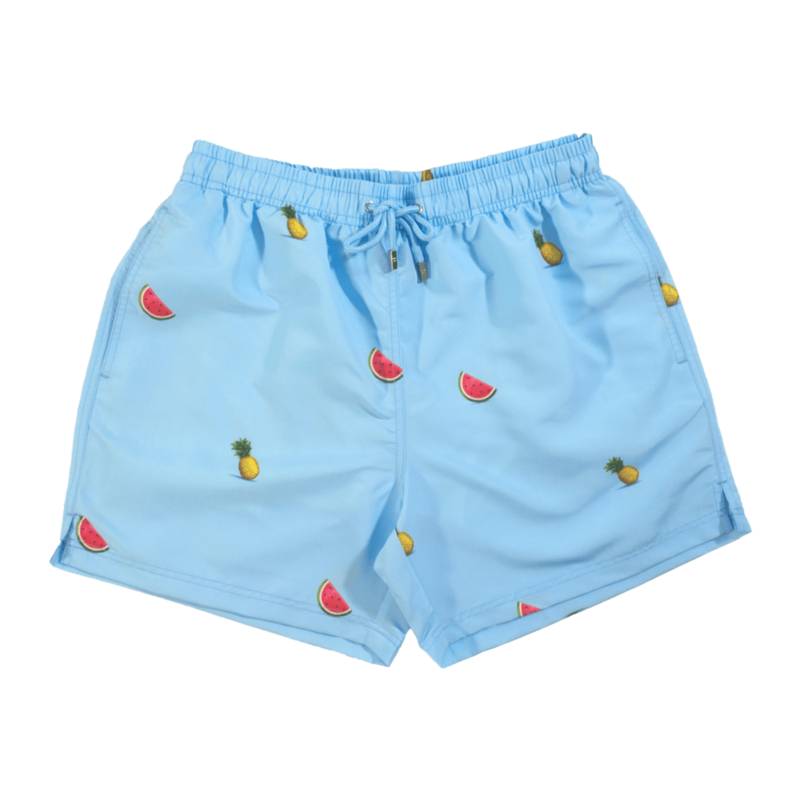 The Men’s Pineapple Watermelon shorts are constructed with a breathable yet soft ultrasoft polyester inner lining that’s ideal for all day long. Because this is separate from your protective outer layer, you’ll hardly notice you’re wearing shorts at all! Every holiday, beachside or poolside, deserves a tasty treat. Sometimes the only thing that makes a perfect trip more perfect is that first refreshing bite into a cool, fresh watermelon. We’re talking thirst-quenching slushies and cool as ice smoothies to make you sigh with satisfaction when the sun’s been pounding down! The Decisive Lifestyle is all about these moments—those sweet breaks in the day that make you tingle with happiness. We’ve captured this in your blue watermelon pineapple shorts along with that unbeatable tropical feeling that comes only with a chilled out pina colada. We see no point in fussing around when it comes to looking great on the beach. 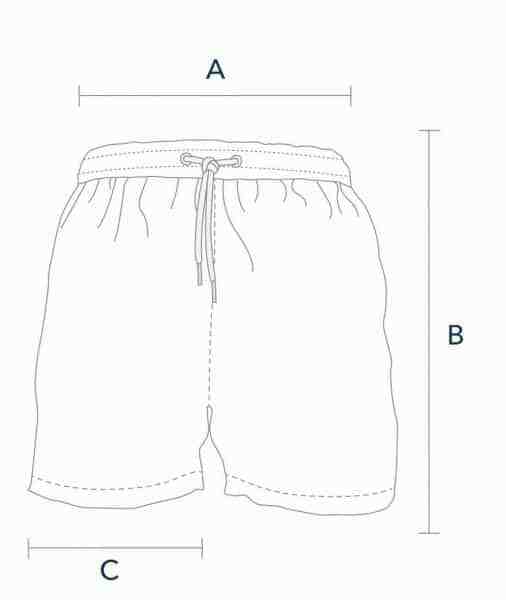 It’s why all our Decisive Beachwear men’s designer swim shorts are made from easily machine washable material. Why spend time turning things inside out, putting on a separate load, or going through all that bother when you’re out to have fun? 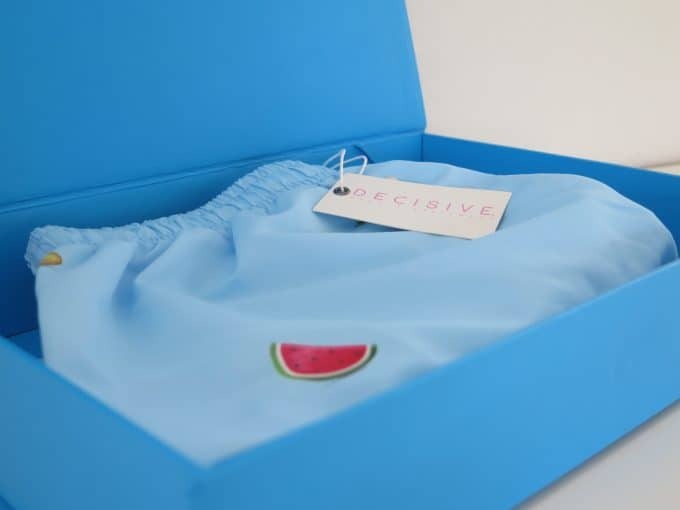 Your blue Pineapple Watermelonshorts are easy to clean and dry in any hotel, holiday home, or villa. They’re colourfast with vibrant tones that won’t wash out or get faded in time. Not even in the brightest summer sun, and we can guarantee your Pineapple Watermelonshorts will last for at least three years. It’s as easy as wash, wear, and hit the waves! At Decisive Beachwear, we provide free shipping to international addresses. With our wide range of small, medium, large, and extra large swim shorts to choose from, there’s something for everyone in the family—grownups and kids alike. 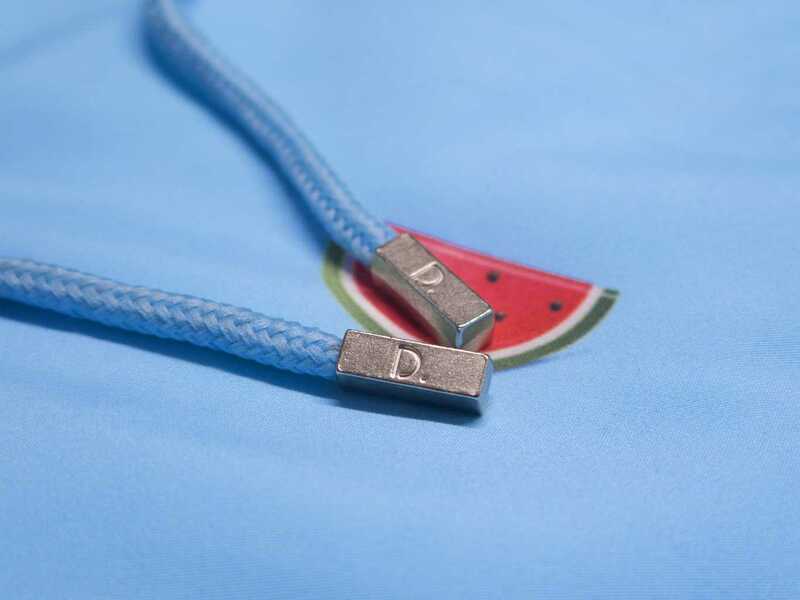 Because we’re concerned with everything going your way, we’ve even put clever metal stoppers on the drawstrings so they don’t get lost in the waistband when you wash them. Decisive Beachwear is dedicated to providing superb quality and great looks. We’ve got you covered from everything from sailing and surfing to romantic night walks on the beach. And you’ll look as tasty as you feel the whole time! Great product! awesome quality, design and looks. I would highly recommend this brand to anyone looking for a fresh summerish look. Love the swim shorts, quality, packaging, but not the price. The way they fit and the material they’re made of (I.e. being very comfortable). 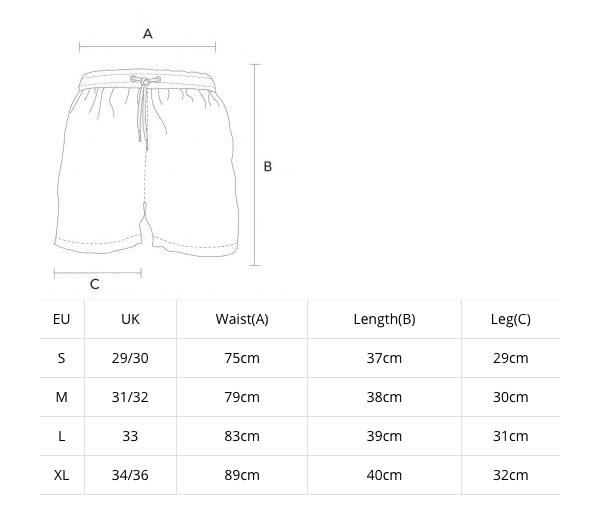 The only thing I would suggest is faster delivery and possibly winter designs, the shorts I have are great but not for the winter (in terms of going to the spa).